The year 2017 was a time for action. With global targets in place under the Sustainable Development Goals and the Paris Agreement, CIFOR prioritized research in six thematic areas designed for maximum impact on forests, landscapes and people. From Peru to Nepal, and from Indonesia to the Congo Basin, CIFOR delivered cutting-edge research, built capacity on the ground and formed powerful partnerships — as always, with an eye to bringing positive change to the landscapes and communities where we work. Climate change will cause geographic range shifts for pollinators and major crops, with global implications for food security and rural livelihoods. However, little is known about the potential for coupled impacts of climate change on pollinators and crops. Coffee production exemplifies this issue, because large losses in areas suitable for coffee production have been projected due to climate change and because coffee production is dependent on bee pollination. Forest-driven water and energy cycles are poorly integrated into regional, national, continental and global decision-making on climate change adaptation, mitigation, land use and water management. This constrains humanity’s ability to protect our planet’s climate and life-sustaining functions. The substantial body of research we review reveals that forest, water and energy interactions provide the foundations for carbon storage, for cooling terrestrial surfaces and for distributing water resources. 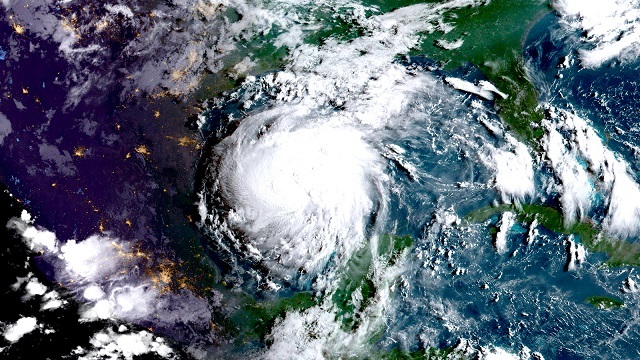 Understandably, given the fast pace of biodiversity loss, there is much interest in using Earth observation technology to track biodiversity, ecosystem functions and ecosystem services. However, because most biodiversity is invisible to Earth observation, indicators based on Earth observation could be misleading and reduce the effectiveness of nature conservation and even unintentionally decrease conservation effort. Ebola virus disease (EVD) is a contagious, severe and often lethal form of hemorrhagic fever in humans. 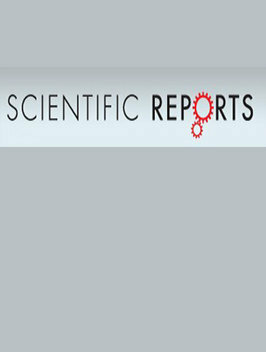 The association of EVD outbreaks with forest clearance has been suggested previously but many aspects remained uncharacterized. We used remote sensing techniques to investigate the association between deforestation in time and space, with EVD outbreaks in Central and West Africa. 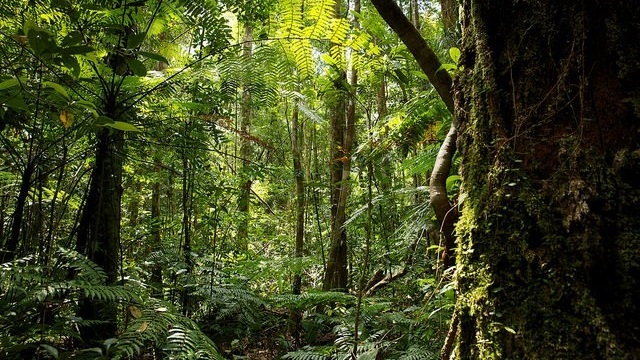 Tropical forests are global centres of biodiversity and carbon storage. Many tropical countries aspire to protect forest to fulfil biodiversity and climate mitigation policy targets, but the conservation strategies needed to achieve these two functions depend critically on the tropical forest tree diversity-carbon storage relationship. Assessing this relationship is challenging due to the scarcity of inventories where carbon stocks in aboveground biomass and species identifications have been simultaneously and robustly quantified. 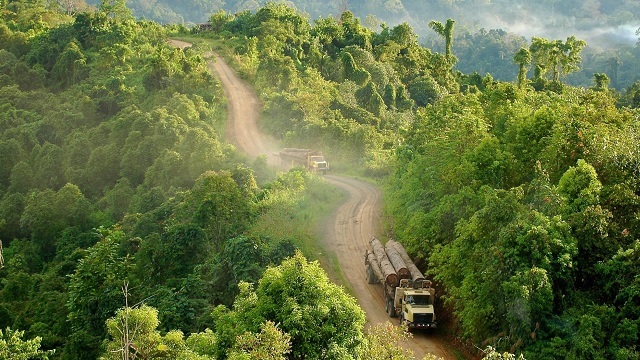 Incorporating 40 years of maps of Borneo (the world’s third largest island), the Borneo Atlas tool reveals both the forest remaining and what is being reshaped due to degradation and extraction industries. With the ability to search by oil palm or pulpwood concessions, and view the locations of intact peatland, as well as determine the speed with which forest is converted to plantation, the Atlas offers the first significant opportunity to distinguish companies that are avoiding deforestation to a large degree. Is REDD+ dead? The ambitious plan for reducing carbon emissions in the tropics by preventing deforestation and forest degradation is approaching its tenth anniversary, and it has fallen short of expectations. But scientists linked to CIFOR – who have been closely analyzing the implementation of the scheme since 2009 – argue that REDD+, though troubled, is not dead. 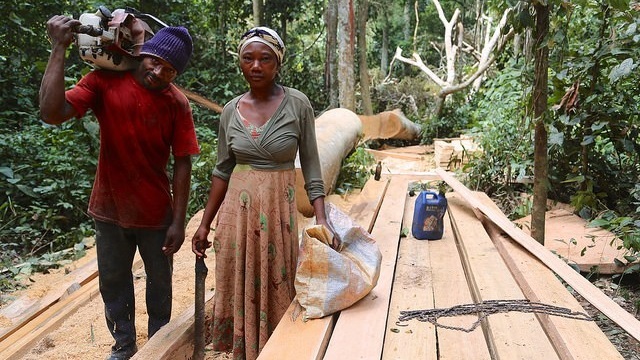 Illegal logging might appear to be a simple story: A bad guy chopping down trees to make a big profit without obtaining any permission from local authorities or local communities, thus causing great harm to both people and the environment. However, is far more complex than this simple narrative! Before measures can be taken to curb illegal logging, a lot of preliminary work is needed to further assess the activity’s causes, complex dynamics, impacts and trade-offs. What are CIFOR’s priorities in 2017? The coming year will be a crucial time for science that impacts forests and people. Find out what the Center for International Forestry Research (CIFOR) will be working on in 2017. Hear from Magdalena Pandan, a 35-year-old oil palm plantation worker in West Kalimantan, Indonesia, who rises before dawn every day to carry out her duties toward her job, her family and her crop lands. 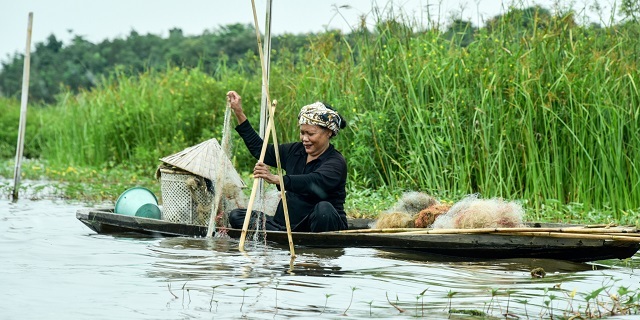 Voices of farmers and fishermen living and working in peatland areas in Central Kalimantan, Indonesia. Opening video for the Global Landscapes Forum: Peatlands Matter thematic event in Jakarta, Indonesia, on May 18, 2017. 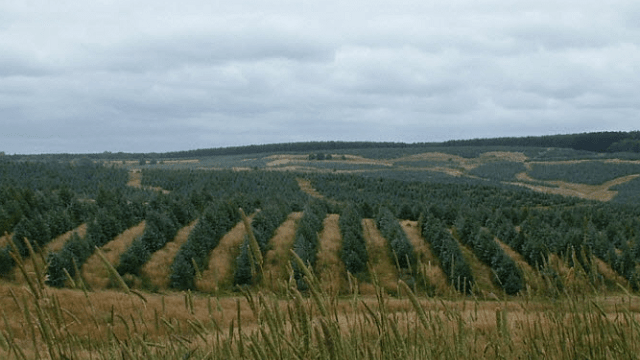 What connects forests and energy? Hear from Peter Holmgren, Director General of the Center for International Forestry Research (CIFOR), and Himlal Baral, a scientist in CIFOR’s Forests and Environment Program, in conversation with Forests News Editor Leona Liu on the occasion of the UN International Day of Forests on 21 March 2017, with the theme ‘Forests and Energy’. Experts from the Center for International Forestry Research (CIFOR) have been working with the local community in Dompas village, Riau for several months, advising on measures to tackle peatland fires. Riau province has the most frequent fires in the whole of Indonesia. One of these measures is rewetting the degraded land by blocking canals and replanting native vegetation that local villagers can sell and eat, thus introducing a viable economic and environmental alternative to burning land for agricultural purposes. Bimbika Sijapati Basnett, CIFOR’s Social Scientist and Gender Coordinator, speaks about how the forestry sector can contribute towards combatting gender inequalities and enhancing the full enjoyment of human rights by women and girls, and the value of aligning the sector’s work on gender and rights to the global framework on sustainable development. Presented by Steven Lawry, Research Director for Governance, at the National Workshop on Translating Transparency Framework under the Paris Agreement into National Context, 26 January 2017, Jakarta, Indonesia. Presented by Nining Liswanti, Esther Mwangi, Tuti Herawati and Mani Ram Banjade on 21 March 2017 at the World Bank Conference on Land and Poverty in Washington, DC. Presented by Terry Sunderland, from the Center for International Forestry Research (CIFOR), at the 125th Anniversary Congress of the International Union of Forest Research Organizations (IUFRO), on September 18, 2017 in Freiburg, Germany. Panel: Multifunctional tropical forest landscapes: Finding solutions in science and practice. Applying ecosystem service approach in navigating forest contributions to rural livelihoods. By Dr Herry Purnomo, Scientist, Smallholder and Community Forestry at the Center for International Forestry Research (CIFOR). Presented at the panel discussion organized by the Center for International Forestry Research (CIFOR) for the Jakarta Foreign Correspondents Club (JFCC) in Jakarta, Indonesia, on May 19, 2017. Silas Matoke and his wife Yordana Yawate harvest sago on the banks of the Tuba river in Honitetu village in Maluku, Indonesia. In Nepal, the village of Nalma lies in the hills, on one side stretching to the Himalayas. Most of the land here is used for rice fields, gardens and housing. A man cutting down a tree to produce charcoal in Yangambi, Democratic Republic of the Congo. An indigenous community in Junin, Peru. From right to left: Ceci Quintimari Mahuanca, Claudio Ñaco Chari, Wilmer Mahuanca, Edgar Mahuanca Llanco and Maximina Mahuanca. Woman carrying vegetables, Yangole, Democratic Republic of the Congo. A CIFOR researcher installs a Rod Surface Elevation Table (RSET) to measure peatland surface elevation at a site planted with oil palm in Riau, Indonesia. 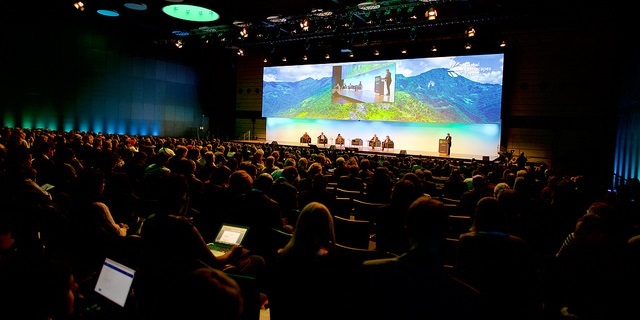 On Dec 19-20, the Global Landscapes Forum brought together 1000 attendees from 103 countries in the World Conference Center in Bonn. In total, 21,610,513 people were reached across social media and fully 51,000 people tuned in live from 114 different countries to connect, learn, share and act around our planet’s greatest climate and development challenges. Read on for videos of speeches and sessions, news and photos, as coverage and analysis continues. A major event focused on sustainable land use headlined by world leaders including the President of the Republic of Mauritius H.E. Ameenah Gurib Fakim, former President of Mexico Felipe Calderón and the German Minister for the Environment, Nature Conservation, Building and Nuclear Safety (BMUB) Barbara Hendricks emphasized the need to break down silos between sectors to protect and restore the world’s landscapes and the communities that depend on them. 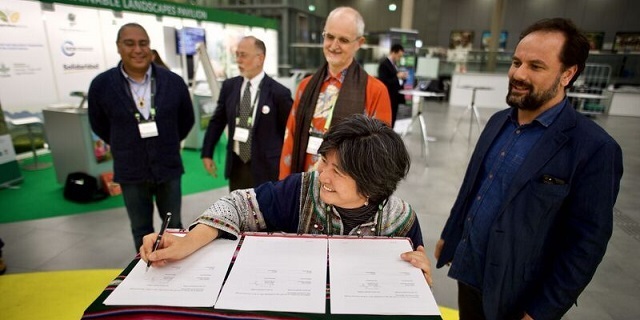 A coordinating forum of the world’s indigenous peoples has confirmed its involvement in the Global Landscapes Forum (GLF) over the next five years with the signing of a Memorandum of Understanding (MoU) at the latest event in Bonn, Germany. 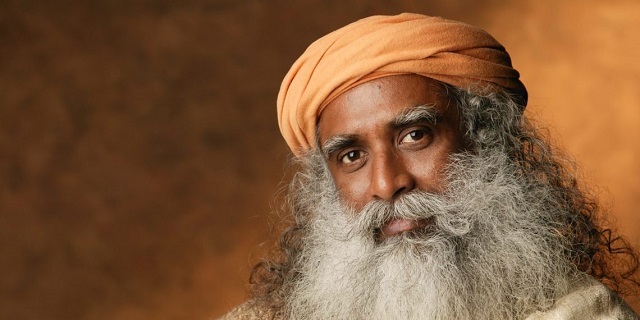 Indian mystic leader Sadhguru Jaggi Vasudev, known worldwide simply as Sadhguru, connects people with nature, demonstrating how harmonious alignment with the environment leads to beneficial spiritual balance and wellbeing. His efforts have led to big results. 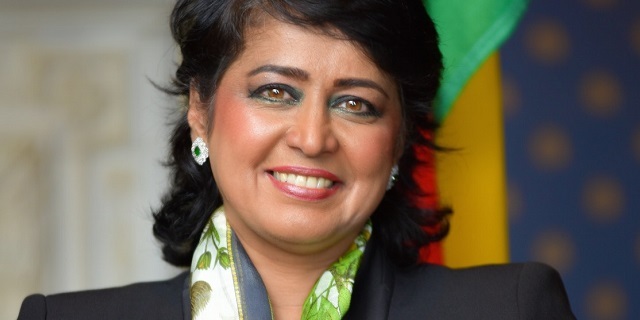 As an expert in the field of biodiversity conservation and sustainable development, President Ameenah Gurib-Fakim of Mauritius takes a tough stance regarding the detrimental impact of human activities on fragile landscapes. Help shape the future of the GLF: Take the survey now. 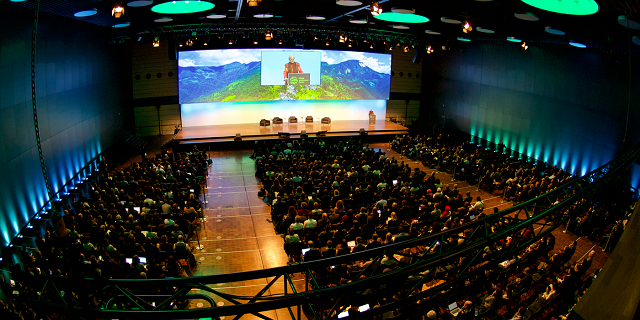 The Global Landscapes Forum is a global movement of engaged partners aiming to accelerate positive, transformational changes in landscapes toward the achievement of the Sustainable Development Goals and Paris climate agenda. With this survey, the GLF seeks to gather views, perspectives and interests from a range of stakeholders and target groups. Your answers will provide guidance in shaping the GLF’s strategic direction and agenda over the next few years. 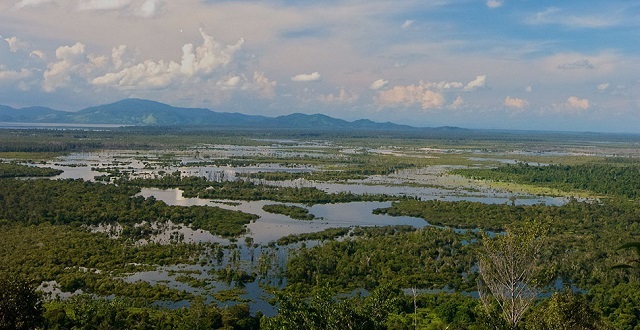 The Center for International Forestry Research has led global research on peatlands for more than 20 years. As the world acts on climate change, understanding the diverse values of peatlands is more important than ever. Explore this site to learn more about CIFOR’s ongoing research into these critical landscapes. It may seem counter-intuitive to put human interests first when tackling an environmental issue as complex and technical as peatlands. 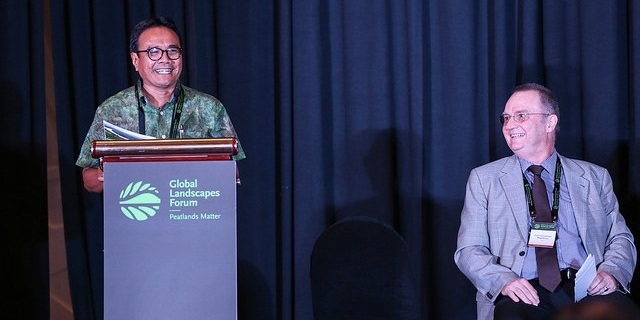 The Global Landscapes Forum: Peatlands Matter event, however, sought to prove that local experiences are a crucial component to paving the best way forward for these landscapes that cover less than 3-5 percent of the Earth’s surface, but contain more than 30 percent of soil-stored carbon worldwide. 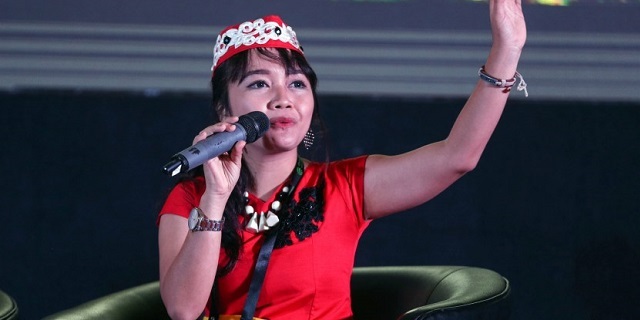 For some residents of South Sumatra, Indonesia, peat is a constant preoccupation.